Even though Arrow Publications no longer offers co-publishing, the practical and inspirational material from these two seminars is a great resource for aspiring writers. "The word from God that touched and changed your heart will touch and change the hearts of others too. So write it! Get it out in one form or another." 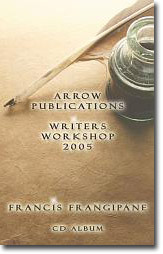 So instructs Pastor Frangipane in this significant series on releasing the anointing to write. A new generation of writers is being raised up, individuals with something important to speak to the body of Christ. Your arena may be books or articles, plays, movies or music, but your experiences with God are important. Pastors, learn how to transform your sermons into training material, and even books, to further your effectiveness of the gospel. 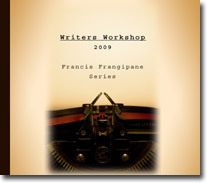 Recorded live during our 2005 Writers Workshop, this series from our first workshop is filled with helpful information for writers - new and seasoned. Many attenders testified to the impartation they received from these anointed messages. An inspiring series of teachings! Recorded live during our 2009 Writers Workshop, these recordings contain updated material plus all new inspiring teachings. Available in CD, DVD, MP3 download and video download. 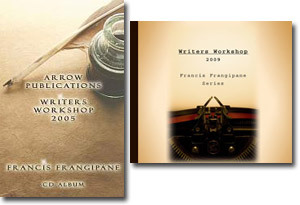 If you are financially unable to purchase a book from Pastor Frangipane, he would love to give you your choice of any one of his ebooks for free. (Visit our FAQ page for more information.) One free ebook per household please. As always, our highest goal is to provide life-changing materials to bless as many people as possible. A service of Frangipane Ministries, Inc.